We are excited to start the year with our first wine dinner: discover the treasures of Luberon region, France: Luberon Truffles & Wines from Marrenon Vineyards. 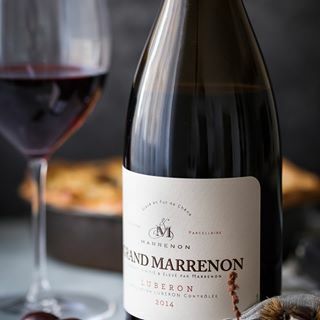 Marrenon vineyards are located in the heart of Provence, spreading on the sides of Luberon and Ventoux Mountains, which is a dramatically beautiful region in south-east France. Marrenon’s red grape vineyards are dominated by great Syrah and Grenache, it is also a champion of Vermentino for its white blends. The wines are wonderful, full of earth, sun and, for the most part, they are pleasingly drinkable in any occasions. Chef Roy from ‘Mr Right’ restaurant designed a Menu with Truffle sent especially from Luberon, to pair with our selection of Marrenon wines. Including top wine ‘Gardarem’ which was elected ‘Best Syrah’ blind tasted at the “Syrah du Monde” competition, among 418 Syrah from 26 countries. Guest Mr. Robert Oustric from Marrenon Vineyards, Rhone Valley – France. When Thursday 18 January. 7pm- welcome drink, 7:30pm- dinner. Where ‘Mr. Right’ restaurant: Shop 32-39, G/F, Manhattan Plaza, 23 Sai Ching Street, Yuen Long. Limited seats – kindly RSVP to confirm your booking by email.